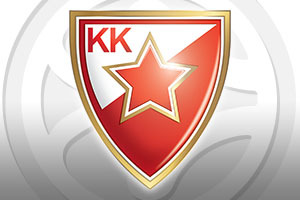 Spread Pick: Crvena Zvezda with handicap +4.5 at 1.90 Over/Under: Over 149.5 1.90 Bet Now! This Group D match-up features two teams who are having a distinctly different time of things in the 2014/15 Euroleague. Galatasaray are heading to Croatia with a 3-2 record but they are currently on a losing streak of 2, and they will be desperate to avert this slide before it threatens to wipe out all of their hard work at the start of the campaign. The Turkish team are currently sitting in fourth place in the group, so still very much in contention to make it through to the Top 16 but with Olympiacos already assured their place from this group, the chances of qualifying are going to start slipping away week by week. This means that getting a result away from home is crucial but given that they face a Crvena Zveda team who hold a 4-1 record, and who are currently on a winning streak of 3 games, this is going to be a very difficult task. If Galatasaray are going to triumph, there is a need for their top players to stand up and be counted. The top scorers for the Turkish side, so far, are Zoran Erceg, with a points per game score of 14.2 and Carlos Arroyo, who is averaging 12.6 points per game. 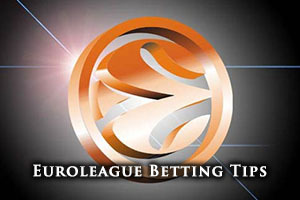 The team average currently stands at 77.8 although it should be noted that last week Galatasaray scored significantly lower than this mark, going down to group leaders Olympiacos Piraeus by a score of 93-66. With respect to injuries, Galatsaray should be boosted by the return of Martynas Pocius, but they will be without Vladimir Micos, who has suffered a fracture in his hand and it is likely that he will need surgery. Galatasaray expect him to be absent for at least a month. The top scorers for Crvena are Boban Marjanovic, who is standing on 14.8 points per game while Marcus Williams is tucked in just behind him at 14.6 points per game. The team’s average points per game is 75.2, which is lower than the Galatasaray average yet it is Crvena who have a much better record so far this season. In their last game, Belgrade enjoyed a comfortable away day victory, winning against Laboral Kutxa Vitoria by a score of 66-86. With respect to injuries, Crvena will be without Stefan Jovic. Even the injuries seem to be favouring Belgrade and everything adds up to them maintaining their push to make it through to the knock-out stages of the 2014/15 Euroleague action. If you are looking to watch the game on Friday night, remember that lie streaming is available so you won’t miss any of the action. If you are looking for some basketball betting tips for the game taking Crvena Zveda at +4.5 at odds of 1.90 looks a sensible bet and if you are looking to get involved with the Over/Under market, going Over 149.5 at 1.90 is likely to pay dividends. Bet Now!